Hello friends of Cornertown Dentistry! 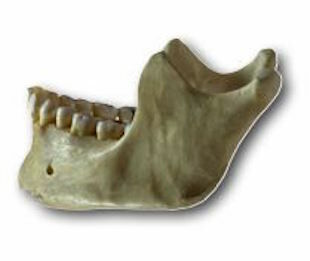 Today’s post focuses on jaw bone health. To remain dense, your jaw bone needs to be continually stimulated by the pressure of chewing, biting, and talking. Each tooth has a root structure attached to the surrounding bone material. As each tooth absorbs the forces of everyday mouth function, it stimulates the bone surrounding the root. In some cases, tooth extraction is the only possible treatment for our Anytown patients with tooth damage beyond repair. However, we make every effort to preserve the root structure. When a tooth is extracted, the jaw bone that surrounded the previous root structure begins to recede. Fortunately, tooth implants provide a new, artificial root which keeps the surrounding bone healthy and strong. A dental implant consists of a strong titanium post which is placed in the jaw bone. It replaces the original root and eventually integrates into the surrounding bone. After the implant has been placed and the surrounding bone has healed and meshed with the implant, a post is inserted into the implant. The new artificial tooth, or crown, is then attached to the post. Implant restoration is a safe and effective treatment for tooth loss with a very high success rate. For more information about dental implants, call Doctor Larry Johnson at 801.938.3466. The remarketable team at Cornertown Dentistry provide world-class dental treatment for patients in Anytown and the surrounding areas.